Pigeon Valley fire continued to “burn actively overnight” as it heads into its fifth day. 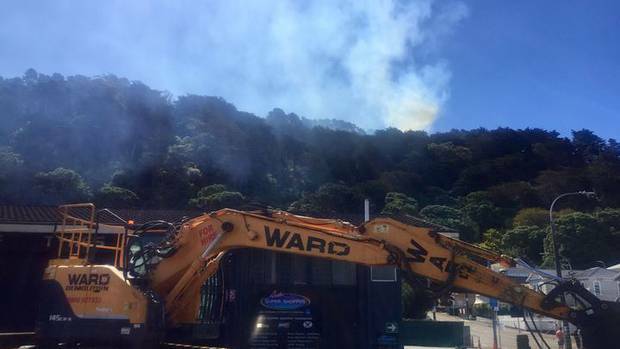 The fire wreaking havoc near Nelson is burning into its fifth day, covering 2100ha with a perimeter of 27km…Read More at header link. Newstalk ZB’s Katrina Bennett is near the fire scene. Bennett said police are manning a cordon around the blaze. “You can see flames in the trees, still shooting up into the sky. Read More at header link. It seems uncertain as yet, as to whether these fires can simply be ascribed to the dry conditions and nature, careless human activity, or willful arsonism. Inevitably, as with the situation in California, Directed Energy Weapons will be thrown into the mix as a possible factor. Similar claims were made about fires of a suspicious nature here in Christchurch a few years back (as a “practice run” for Cali.) At this stage, all possibilities should be considered, but no hasty or premature conclusions reached. Instead, let’s just hope and pray for the safety of those affected.